I was "Googling" seamless vector patterns yesterday and came across some tutorials that explained how to make seamless patterns using Photoshop and Illustrator. 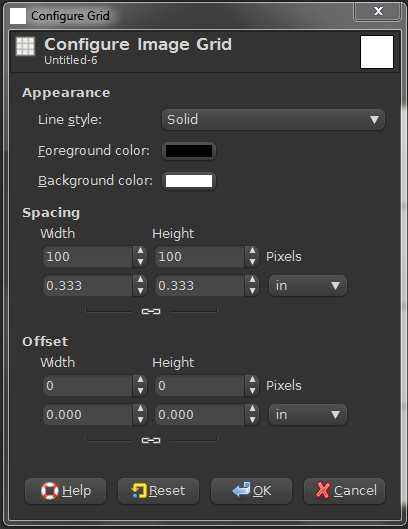 Now, I realize many of my own tutorials are fairly long, and I also realize people want to do things in as few steps as possible, (unfortunately not everything can be accomplished so quickly outside of using a script or plug-in) but creating seamless patterns can be accomplished fairly quickly using GIMP. 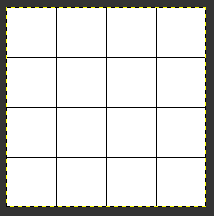 Open any square size drawing, with a white background (I am using 400 x 400 px @ 300 dpi). First I am going to add a warm yellow color to my image background using (ffa800) for foreground. Open the sun clip art into GIMP. The process is started by copying the sun clip art (Edit - Copy), then pasting it into the new drawing as a new layer (Edit - Paste As - New Layer). Copy the new layer (make sure Snap to Grid is active under View). 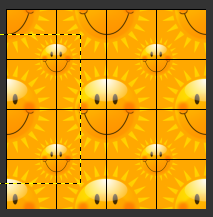 Continue pasting the same copy as a new layer until all 9 suns are situated on the grid like shown above. Copy that new layer and proceed to Edit - Paste As - New Layer, the remaining smaller suns as shown in the placement pattern image above (should be a total of 4). 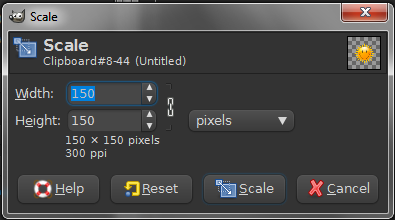 Save the image as a pattern by browsing to the .gimp-2.6/pattern folder, and name the file with a .pat extension (sunshine.pat). 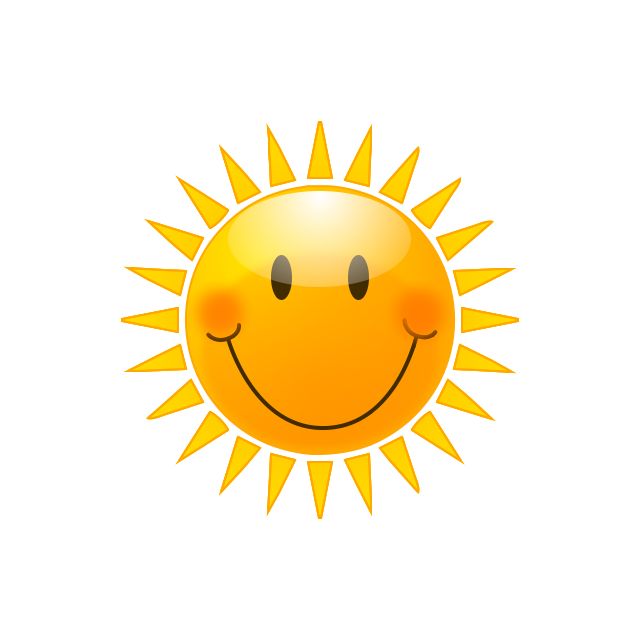 Give it an obvious description (.sunshine). Placing a period (.) before sunshine, will move the pattern toward the top of the pattern dialog. Refresh your patterns dialog and you're done! Wow been checking your blog out and it is very creative, I like you how use gimp for graphic design. 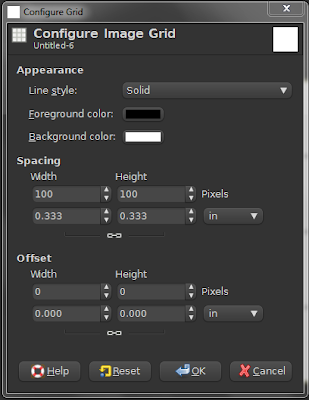 I to use gimp for graphic design. I would like your advice for tips for making gimp tutorials. Its nice to know there is other gimp users creating awesome graphics ,so keep up the good work.